Did you know that people are capable of seeing more shades of green than any other colour? Or that when orange sits next to black it looks more orange? Colour is the reason why a sunset can be spectacular, why a city centre can be depressing, or why a painting can be beautiful or awful. This free course will give you a great understanding of colour theory in a really clear manner, so that you can open up a wide range of careers and hobbies. 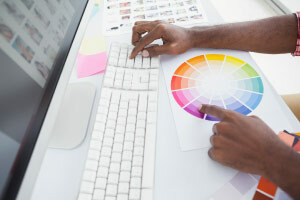 An accurate understanding of colour theory is essential for graphic designers, artists, photographers, and anyone involved in the visual arts. The course will first introduce you to several important aspects of colour and light perception such as hue, lightness and chroma. It will then go through the concepts of brightness and saturation and how to apply these concepts in your profession or hobby. You will then learn highly practical skills such as mixing paints, and additive and subtractive colour mixing, before finally going through the core psychological components of visual perception of colour. The course also offers you interactive graphics that further explain the concepts in the text and make things clear and simple. If you want to practice the visual arts, or just want to enhance your knowledge and understanding of colour theory, then this is the course for you. Don’t worry, you don’t have to be (or want to be) a professional. Anyone who wants to make their home, photographs, garden, or even desk a little bit more beautiful can use this fantastic knowledge about colour. It’s interesting, it’s fun, it’s useful, and it only takes 4 hours to learn. Upon completion of this course you will understand the dimension of colour by observing colour relationships, and selecting and mixing colour. You will know the meaning of chroma, saturation, hue, lightness, colorfulness and brightness. You will know the basics of colour vision, adaptation, colour constancy, simultaneous contrast and assimilation. You will learn about colour mixing such as additive and subtractive colour. You will understand the principles of colour that are relevant for painters.